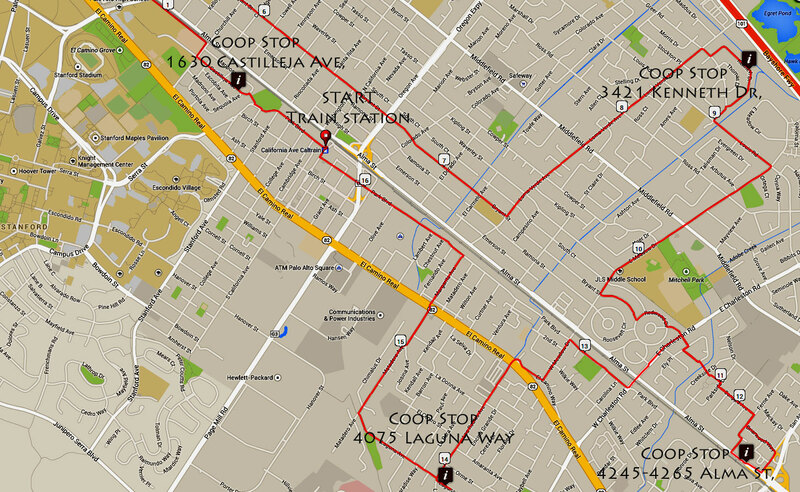 This ride originally started as the “Just Palo Alto Coops” but we modified it to include a Menlo Park Coop. 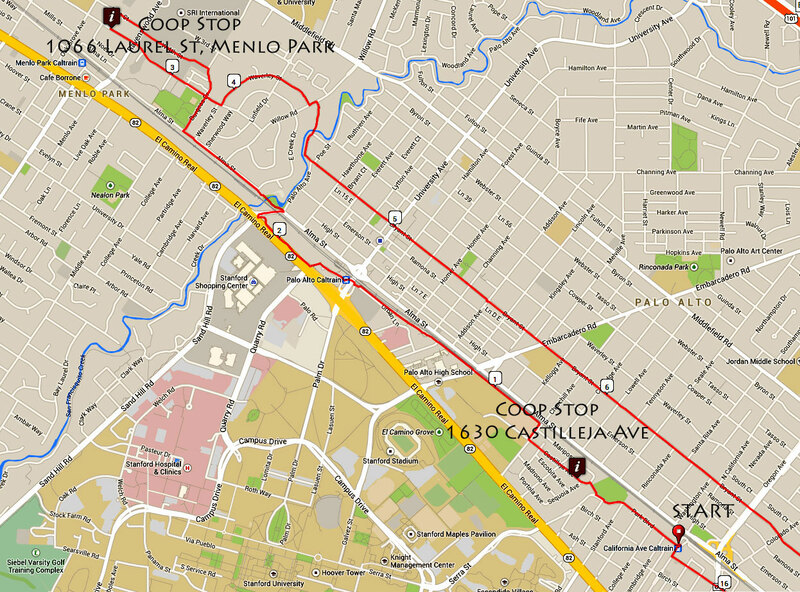 This route is 16 miles and 5 coops in Palo Alto and Menlo Park. This ride includes some special bike paths in PA and MP that are not easily found but once you use them, they will become your favorite too.